Discipine issues: fix this mess! As teachers, we all have to deal with mixed-ability groups. 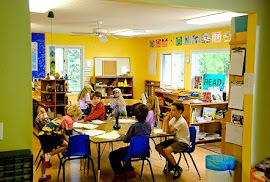 Ideally, mixed-ability groups should be small, so that the teacher can devote their time to all the students who need special support and individual attention, but in public or even private schools it is hardly ever possible. It is clear to all of us that students who fall behind ought to get special treatment and although it is sometimes challenging, we take it for granted: weak students need help. And I agree. But... what about the brilliant students? The ones who get bored easily, because they learn quicker than their classmates or because they already know what we cover in class (happens a lot in case of bilingual children). Very often, boredom leads to discipline problems or a total lack of interest in our classes. So, what can we do to make this problem go away? To start with, let me say that I find this problem really difficult to solve, because if we happen to have both brilliant and very weak students in the same group, we will probably tend to focus more on the weak ones and feel somewhat guilty if we devote more attention to their more talented classmates who ''don't need our help as much''. - As I prepare extra worksheets for the students who fall behind, I always throw some extra ones with exercises for the fast goers. It works especially well with bilingual kids. They tend to excel in oral skills but they more often than not need to improve their spelling, extend their vocabulary and work on grammar. So, some additional worksheets always come in handy. I try to do it once per unit and gather material related to what their classmates are doing. - Kids, whose level is far beyond what we do in class and if their motivation is high, get from me books in English to read at home. They have to prepare an oral or written summary of the book. - one of my favourite ways of engaging the best students is to ask them to come up with their own examples of what we do in class, especially when we work with the notebook. For instance, recently we have been working on articles. The assignment was to put expressions with clothes under ''a'' or ''no a'' category (green trousers but a purple hat). There were five of them on the board and I ask the students who finished early to prepare their own examples, which we later on added to the list. My students loved the activity and they came up with an almost endless list! - as I have a small English library in each classroom and at least one picture dictionary per class, students who finish early can pick up a book or take the dictionary and read/study them. - extra homework assignments (especially for bilingual kids whose parents are native speakers of English) From time to time, I ask the bilingual kids to prepare something extra at home. As we are doing now fruit and vegetables in the third grade, I ask one of the girls whose mother is English, to find out and then share with the class how to say in English certain vegetables that are very popular in Spain (but somehow are never covered by the coursebook, surprisingly). These are only a few examples of how one can work with brilliant learners. It is essential to make the most of their talent and motivate them so that they can benefit from our classes even though the overall level of their classmates may be much lower than theirs. And it doesn't have to take a lot of time or effort, just a few tricks will do. In this post, I am going to write about some ways of introducing, practicing and revising the days of the week and months. 1. ''What day is it today?'' you can find it in Islands 2, by Pearson. Clap your hands for Monday! Or, you can introduce your own action verbs, for example, the ones you've been working on in class. Or simply mime the action and kids have to say/write the corresponding day. The second song taken from Sprint is very easy to learn. Children master it amazingly quickly. It teaches a good pronunciation as all the months are pronunced very clearly. I start all my classes with this song until children can sing it perfectly well. If a student makes a mistake or drops the ball, he/she doesn't participate in the next round. The last remaining person wins. Variation: if you see it's too easy for your pupils, you can intervene and say Ss have to say the months backwards every time you say: BACKWARDS (e.g. S1: January S2: December S3: November) you can also introduce a time limit. TIP: Ss who are elimnated are asked to stand up or cross their arms. The latter option is better if the group is rather fidgety. 2. Organise a day of the week/month of the week duel. T asks two Ss to come in front of the class and starts with a month of his/her choice (e.g. March). S1 continues: April, S2: May until one of them makes a mistake and is eliminated. In order to make it more challenging, you can require the Ss to go faster and faster or say the months backwards or...spell them. Most of the words our young pupils have to learn are relatively easy, but some of them may present quite a challenge! Like, for instance,'' trousers'' or ''wardrobe'' that are not even remotely similar to any Spanish words. So, how can we go about it in order to help the kids assimilate these words? These are some of the ways I employ in my classroom. When the ''clothes'' topic comes up, I always say that ''trousers'' is my very favourite word. And I keep repeating it. Children love to know stuff about their teachers and as it draws their attention, it becomes easier to remember the word. After some time, when I ask what my favourite word is almost everybody identifies it as ''trousers''! 2. Repeat in a fun way! Repeating the words in various ways is also pretty effective. You can whisper them and make the kids do it, too, you can sing, shout, draw them in the air - whatever that makes it memorable! 3. Word of the week! When I had to teach ''wardrobe'' I pinned it into our English corner as a ''word of the week'' and I referred to it as often as I could. 4. Print the words out and put them on the wall. I always put the most important words on the wall and I highlight the most difficult ones. Sometimes I even asked my students to decorate the most complicated words. You can also ask the kids to think of a funny gesture to associate with the word you're teaching. Then, you tell them that each time you (or them!) make this gesture, the first person to say the word out loud, wins a point. Some time ago, I had to teach the word ''straight'' (as in ''I've got straight hair'') and I couldn't think of any fun way to do it. Then, it struck me: it rhymes with ''eight''! So, I draw an ''eight'' with ''straight hair'' on the board in a really funny way and I said: ''Hey, it's an eight and, look, its hair is straight!'' The kids loved the rhyme and they memorised it immediately. To sum it up, it's all about making the difficult word memorable. You can't overestimate the importance of using flashcards* in the classroom, especially in the first cycle. First of all, they let you avoid using the mother tongue to translate. You show the image and the kids know immediately what the new word means. Secondly, children love pictures, posters and other visual aids, so if you use flashcards properly, it will guarantee you their undivided attention, which will result in faster and effective learning. Also, the key to success is INVOLVE the kids in the process of learning. So...don't keep the flashcards to yourself! Let your students play with them, touch them and look at them closely. Apart from the flashcards, I always add wordcards. Luckily, the publishing houses have discovered that method, too, so next year when we change the coursebook, there is a good chance I won't have to prepare them anymore. Enough with theory and let's get down to some practice. - Traditional way: show the flashcards to the kids and attach them to the board. Then, put the corresponding wordcard next to them. More ideas to break the routine: Let the kids guess what the objects are by revealing the picture slowly, uncovering it step by step. You can also use this method for revisions. -Traditional way: Leave the flashcards as they were and mix up the wordcards (or you can do it the other way round). Individual students have to come to the board and match the words with the pictures again. Variation: Instead of moving the wordcards, they can also match them by drawing a line. one, two, three....close your eyes! one, two, three... open your eyes! Look at the board. What's missing? Idea 2: Invite some students to come to the front of the classroom. Ss form a circle. Play some music and pass the flascards. Students have to keep passing the flashcards until the music stops. Then, they have to name the objects on their flashcards. If they don't know them, they have to leave the circle. Student who last leaves the circle, wins. Idea 3: Play a memory game on the board. Display the flashcards and the wordcards with their faces down. Children have to uncover the cards and they get a point if the uncovered picture matches the word. 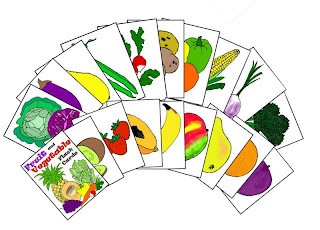 - Traditional way: Slowly, take off the wordcards and ask children to name the pictures on the flashcards. When you finish, ask the kids if they can name all the objects. Help, if necessary. More ideas to break the routine: Kids prepare their own flashcards. Then, they play with them in pairs. Person A says: What's this? Person B says the word. The one who guesses more words, wins. Idea 2: Take off all the wordcards. In their notebooks, students have to copy the pictures and write the correct words next to them. Help out with the spelling, if necessary. * by ''flashcards'' we understand here a set of cards with pictures on them. It seems that this year is a year of novelties on the market for ESL primary coursebooks. I've had the pleasure to see some of them, so, I've decided to share my impressions on the blog. ...and it simply must be reflected on the teaching methods. While the new coursebooks I'll be writing about in this article are offering a wide range of different teaching solutions, they are all placing a great emphasis on the digital component. So, a multi-rom both for the teachers and the students contaning a digital version of the book, games, worksheets, etc, is not a luxury anymore, it's a must. ...this promise has never sounded more real. All of the new methods are coming with lots of teaching resources, both off- and online. Some of them are even editable. ...which means that the new books are just packed with all sorts of activities related not only to the English (or other English-speaking countries) culture, but also to other subject (so called ''cross-curricular''). I´ve been teaching English for over a decade now. I've taught students of all ages, but in the beginnig I used to say that I would NEVER ever teach small children! Life has taught me a valuable lesson: Never say never! I'm currently (and happily) working in a primary school. When I was starting this amazing adventure, I realised that while there are plenty of worksheets or handouts on the Internet, there is little ''practical'' information and ready-to-use ideas. So, I decided to set up this blog to share my first-hand experience with you but I also want this blog to be my teacher's diary so that I can benefit from it for my own teaching development. Hope you like it, feel free to leave comments and suggest improvements!